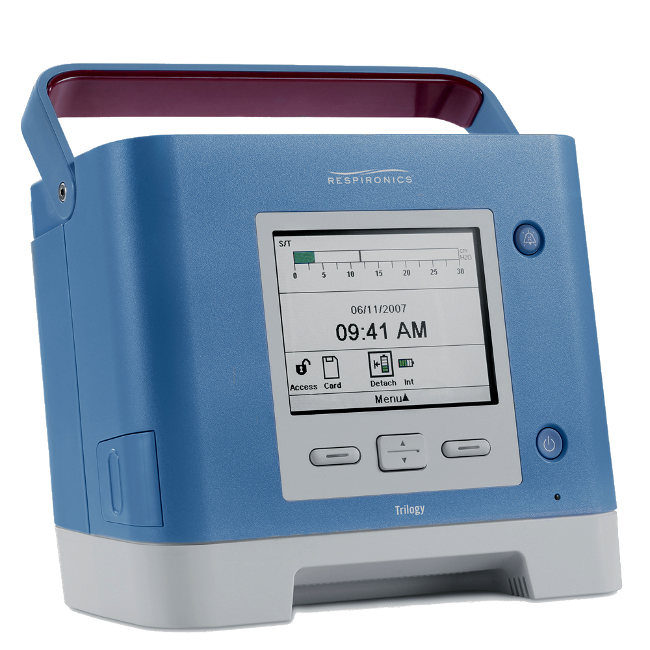 Save up to 80% on pre-owned Respironics Trilogy 100 ventilators. Light versatile and easy to use, Triligy 100 offers clinicians and pateients one of life's greatest qualities - simplicity. Whether at home or alternative care sites, the Trilogy 100 portable volume and pressure support ventilator with BiPAP technology is made for adult and pediatric (>5kg) use. Interchangeable passive and active exalation porting blocks give clinicicans the flexablility to choose the best circuit and interface available for patients. It's internal Peep, combined with a single limb circuit, creates an uncomplicated application. Uses a single limb circuit with a proximal pressure line and active exhalation valve.